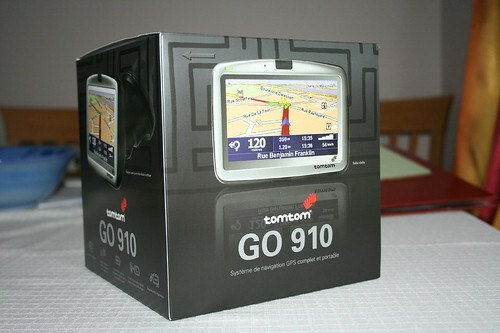 Yesterday morning, my new TomTom Go 910 finally arrived. To say that I was excited would be an understatement. I’m really impressed. It’s a nice compact unit, although slightly weighty due to the 20Gb hard disk lurking within. Plenty of stuff included in the box – a USB dock for the PC (the 910 is pictured sitting in the dock), external mic and aux audio cables for the car, a remote control, and a soft case (not shown above). The case is made of the same kind of material as my new laptop bag, and has a side which has some hard material inserted in order to make it rigid against the screen. 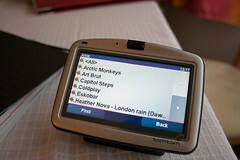 Bearing in mind that I’m a GPS virgin, I had a few issues with getting up-and-running…. Having unpacked the unit, I plugged it in to charge. The mains power connector to the dock, incidentally, has a 2-pin US plug which folds down and into which you can insert either a UK or Continental “plate” (supplied), so it should be usable in the US and across Europe. 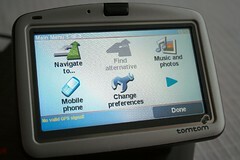 Whilst it was charging I thought I’d install the TomTom HOME software and start to have a play with it. 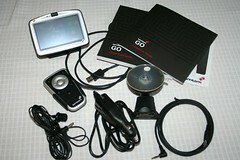 The manual stated that the unit should be switched on outside to get a nice clear GPS signal for the first use. Well, I have to admit that I turned it on indoors the first time around, such was my excitement – so I’ll come back to the GPS signal part in a second. First time on, it presented a number of screens which asked about geographical location, time, etc. and then offered to play some movies to illustrate how the user interface worked. I love the UI – very intuitive, and the screen seems to be nicely touch sensitive and to detect a finger touch in the right places. Once I’d got it going and played with the menus a bit, I realised that it wasn’t going to be able to plan me a route without first getting a GPS lock. So out I went. 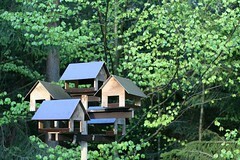 The manual stated that the first time, it can take about 5 minutes to get a lock, and that if it takes more to go to an area avoiding tall buildings and trees. I stood outside the front of our building for nearly 10 minutes without any luck (it could see one or sometimes two satellites, with a weak signal), by which point it was getting windy and wet so I abandoned the effort. I uploaded the photos at native resolution, virtually straight off my camera. They are anywhere between 2 and 8Mb in size. Seeing how long it takes the 910 to display them (it took a good couple of minutes to draw the screen of thumbnails in the screenshot), I’m going to resize them smaller in future. 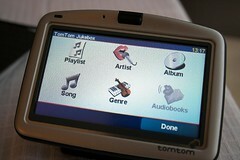 The music feature talks about playlists, but what it doesn’t tell you at any point is that if you just add a load of MP3s (it only recognises MP3s, and not WMA or M4U files) without doing so via a playlist, when you come to want to play the music you can only do so by selecting an artist or album, so it is not very flexible. I’m going to have to build a playlist in Windows Media Player or something, then re-upload my music. The software doesn’t recognise UNC network paths (e.g. \\myhomeserver\music) – you have to map a drive, and then it will work. One other thing I did whilst waiting for a full charge was to play with the voices. I deleted a load of the ones that were shipped (I don’t speak Thai or Bulgarian, for example… they are supplied on the CD so I could always add them back later). I also downloaded the John Cleese voice for the cost of a few Euros. That’s quite fun, although since it is a human voice, it obviously does not have the capability of reading out street names, text messages and warnings. Every time you select such a human voice, you get warned that it can’t read these things and asked if you want to choose a computer voice – annoying. The other annoying thing is that you get the same joke about him not helping you with your bags every time you reach your destination – funny the first couple of times, but it grates after a while. Eventually I knew I had to get the GPS working. It was raining by this point. I went and sat in the car (opportunity to play with the dock) for half an hour. Still no GPS fix. I should explain at this point that we live very close to Farnborough airfield – on the landing path, in fact. Radio transmissions here are terrible. Eventually I tired of waiting, and went for a drive. 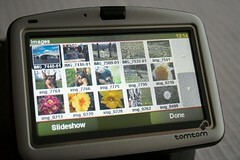 Within 50 yards of home, the TomTom sprang into life. I pulled over and typed in a random local destination. Mr Cleese began directing me there. It was all working fine. The volume on the internal speaker is pretty good… I have the unit mounted on the right of the dash and most of the time I don’t need the volume above 55-60%, although at speed it does get a bit drowned by road noise at that level. On that first trip out, I discovered a mapping problem – a one-way system that has been in place for over a year now was evidently not known to the TomTom, so I ended up ignoring its instructions. Good opportunity to see it re-routing me, which it did pretty quickly, within seconds of me turning away from the one-way system. Anyway, once you login to the tomtom.com site, you have the option of reporting map problems – so I did that this morning. I found a Point of Interest that is wrong (a Little Chef that closed a couple of years ago), but I’m not so sure how to report those. I tried the Bluetooth functionality with my phone, and having done so I’m told the internal microphone is very bad. So, if I’m intending to use that more often, I’ll be fitting the external microphone in the car somewhere. One issue I have is that my phone doesn’t have a GPRS subscription, so at present I can’t use things like the weather and traffic updates. Hopefully I’ll be able to try those soon. Another small annoyance is that my car stereo has no auxiliary input socket, so if I want to hook up to the car speakers I’ll have to think about one of those small FM transmitter things that people use for iPods and walkmans. Today I found some websites where is is possible to download additional Points of Interest. I was a bit surprised that choosing Shops in the existing POIs only showed me Harrods and one other chain. Supermarkets seemed more useful. Naturally I already know my way to the local Tesco and Sainsburys, but I downloaded the POIs anyway, in case we find ourselves on holiday somewhere and need some guidance. So I’ve still not given it a proper workout, but I’m pretty impressed so far. We went out on one longer drive yesterday and saw things like the road speed detection (it tells you what the limit is on the road you are travelling on, and your current speed, going red if you go over the limit)… and the safety camera warnings. I’ll have to report back as I learn more. 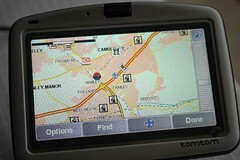 This satnav should be hugely useful for work. Update: there’s a small discussion going on about this over on the YourNav forums. Answer: I’ve not had much time for it lately. Until today I hadn’t uploaded anything new to Flickr for about a month. I just kind of ran out of steam, and then work got in the way for a few weeks, and we’ve not been anywhere. It will happen again, I’m just in a bit of a lull at the moment. Anyway… in the meantime, I uploaded a number of shots taken by Ola and my father-in-law Andrzej. Ola took the 350D to Poland with her whilst I was in Vegas. 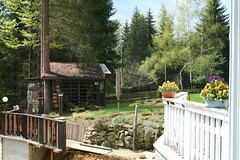 I think the pictures are really nice, let us know what you think! 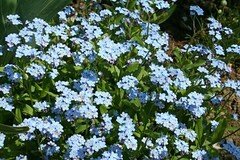 These are just a selection, there are more to see if you click through and explore my photostream. Spent a bit of time today visiting my contacts’ Flickr sites and commenting on photos. There is so much great work out there. I need to get back to it.